It appears Chan returned to his keyboard in time to fight back--by accidentally shooting at a non-flagged target. His safety button proved to be as useless as Anti-Ganking. The most fearsome wardeccers in the galaxy enforce the Code. 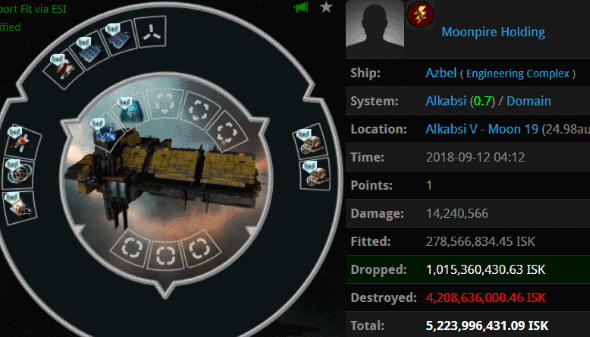 Moonpire Holding corporation learned this when they failed to defend their 5.2 billion isk engineering complex. It was promptly removed by Agents Blazing Pancake, Dominated, Kissemurra, Chocolate Rainbow Cake, Ice is Nice, Love Humps, Sigrid Tystnad, Delicate Feminine Flower, Zedd Yeti, danish peyote, darling peyote, demigod peyote, Discofitta, Bonobo Yeti, dong peyote, dumb peyote, dabbing peyote, deadmouse five yeti, Jathrine, Rainbow Cake, Skrillex Yeti, Kermakakku, Aiko Danuja, Amarr Rockstarr, and Improved Fortnight. Contrary to what you'll often hear from the carebears, wardecs aren't broken. 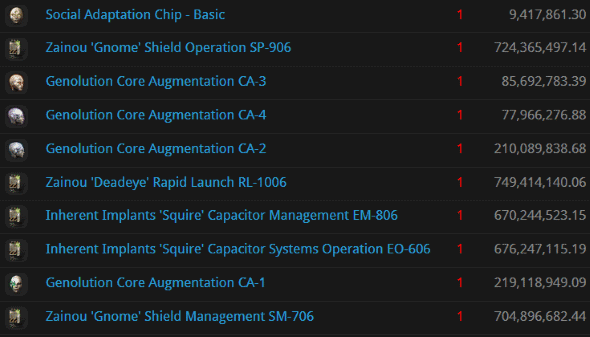 As long as highsec industrialists are getting their stuff blown up, wardecs are working as intended. 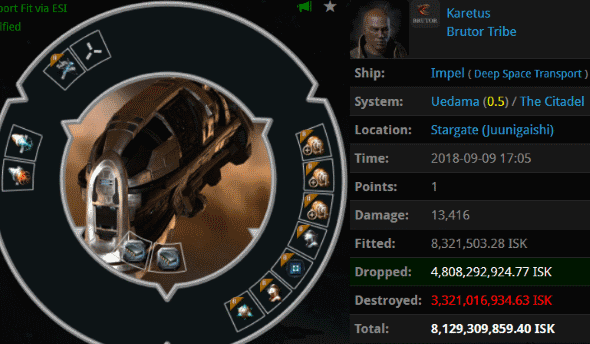 Karetus managed to lose an 8.1 billion isk Impel in--you guessed it--Uedama. 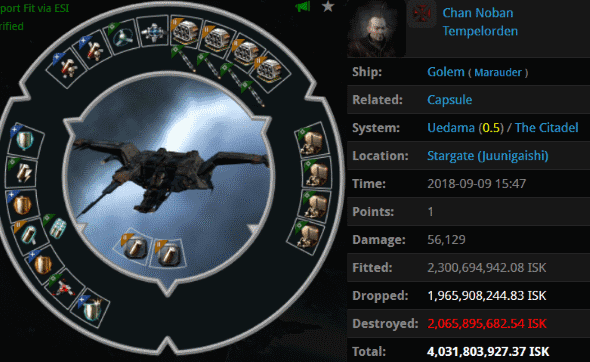 His ship had plenty of warp core strength, but its pilot didn't have the strength of will necessary to remain at his keyboard for a few jumps. Justice was done by Agents Jason Kusion, Johnathan Kusion, Jayson Kusion, Joshua Kusion, Josh Kusion, Jacob Kusion, Jeremy Kusion, Jeremiah Kusion, Joseph Kusion, Joel Kusion, Jackson Kusion, Jayden Kusion, Jake Kusion, Justin Kusion, Jack Kusion, Jessie Kusion, Jeffery Kusion, Jonas Kusion, Josiah Kusion, and Jimmy Kusion. You might say "Justice" is an unofficial member of the Kusion family. Why would someone not pay their taxes? I don't get it. 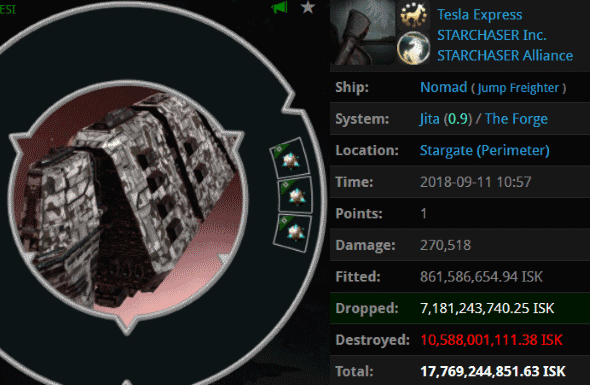 Tesla Express lost everything because he couldn't be bothered to spend 10 million isk on a permit. Instead, he took the ultimate gamble by bringing a 17.7 billion isk jump freighter into Jita--which was being audited by Agents Tax Collector Stroheim, Tax Collector AynRand, Australian Excellence, Tax Collector Kittens, Taxman Daniel, Pod Destroyer Molly, Tax Collector Aruka, Tax Collector Richard, Tax Collector Larry, Tax Collector Alison, Tax Collector Hill, Tax Collector HongMei, Tax Collector KarlMarx, Tax Collector Max, Tax Collector BokChoy, Tax Collector Yuna, Tax Collector Shardani, Tax Collector Kimi, Tax Collector Otto, Tax Collector Fuemi, Tax Collector Buck, Tax Collector Rachel, Kill The Innocents, and Dr Hattrick. If you disobey the Code, our Agents will extract more than your skills. Ah, Frog Logistics. They do a lot of good work; many a Catalyst has been transported by them. Nevertheless, all haulers must purchase a New Order mining permit. It's the law. Hesperos Finn broke the law, resulting in the failure of many courier contracts--and probably a lot of lost collateral. Agents Tax Collector Hill, Tax Collector KarlMarx, Tax Collector Kittens, Tax Collector Otto, Tax Collector Alison, Tax Collector Kimi, Tax Collector Stroheim, Tax Collector Richard, Tax Collector HongMei, Taxman Daniel, Tax Collector Shardani, Tax Collector BokChoy, Tax Collector Yuna, Tax Collector Buck, Tax Collector Rachel, Tax Collector Max, Tax Collector AynRand, Tax Collector Fuemi, Tax Collector Aruka, Kill The Innocents, and Dr Hattrick had no choice but to put this Nomad down. Autopiloting shuttles aren't as common these days, so our Agents make sure to savor them--especially if they contain juicy pods. Dimytte autopiloted through a 1.0 security system, only to be caught by Agent Eva Mavas. Our Agent was watching carefully for shuttles, and she was rewarded. 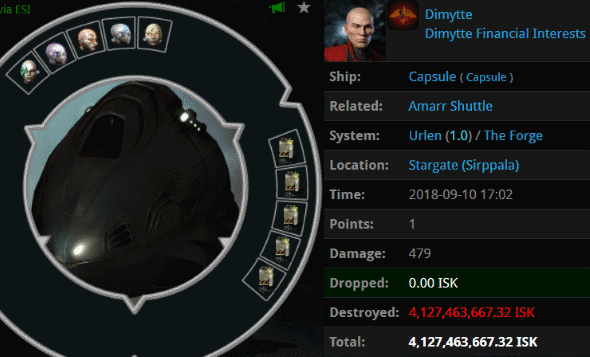 Implants worth 4.1 billion isk were destroyed. Should've bought a permit. Calm down shardani lover. Ritalin is easy! The nostalgia! It feels like 2016 again! I think Anon 3:03 is confused who shardani was. 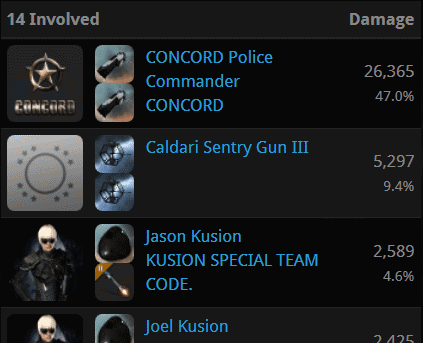 Shardani was the CEO of ag who murdered his child because he could not stop the ganks. Not even his wife had good things to say about him. Never forget shardani and how ag still fail to stop the ganks. Trump the king for CSM. Black Frog pilots are normally a lot more paranoid when hauling freight. Have no idea why this one walked into an ambush....he is NEVER going to live this down. wow just wow. antigankers STILL failing non-stop daily. is Thomas still defending kalynn shardani? What sort of person would defend such a homicidal criminal like shardani.